On May 20, the prime ministers of Eurasian Economic Union (EEU) member states (including Russia, Armenia, Belarus, Kazakhstan and Kyrgyzstan) met in Yerevan. Among the officials visiting the Armenian capital for the purpose was also Russian Prime Minister Dmitry Medvedev. In a conversation with President Serzh Sargsyan before the gathering, Medvedev reportedly also spoke about the Karabakh conflict. As president of Russia in 2011, Medvedev offered a settlement plan for Karabakh (later called the Kazan plan as the main meeting of the parties was held in the capital of the Russian republic of Tatarstan then), which is very similar to the Madrid principles proposed by the OSCE Minsk Group, with only one difference – the plan implied the introduction into the conflict zone of a Russian or a Russian-led peacekeeping force rather than an international contingent. Both the Kazan plan and the Madrid principles involve territorial concessions from the Armenian side and Azerbaijan’s agreement to an interim status for Karabakh with the possibility of a future referendum to determine the ultimate status of the disputed region. It was immediately after the April war in Karabakh that the Russians began to speak about the reanimation of the Kazan plan that was once rejected by Azerbaijan. However, neither Armenia nor Azerbaijan has officially supported the initiative now. Moreover, experts note that even though the other two co-chairs of the OSCE Minsk Group – the United States and France – did not openly oppose the plan, in reality such a settlement scenario would not suit the West either. It is unlikely to be a coincidence that on the day Medvedev was in Armenia, U.S. Vice President Joe Biden telephoned both the Armenian and Azerbaijani leaders and reminded them about an agreement reached in Vienna, Austria, on May 16 under which Serzh Sargsyan and Ilham Aliyev are to meet again in June to discuss a settlement plan. 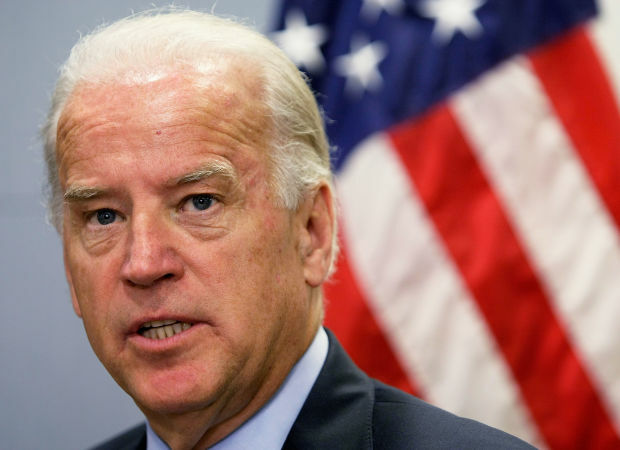 Experts described Biden’s calls as a U.S. warning to the sides not to make separate agreements with Russia and not to accept the Kazan plan. Meanwhile, Azerbaijan has officially stated about guarantees of a peaceful settlement of the conflict. On Sunday, the head of the Azerbaijani president’s administration, Novruz Mammadov, said that his country was in favor of a peaceful settlement and was not against the expansion of the OSCE mandate and investigation of border incidents. Before the Vienna meeting, Armenian President Serzh Sargsyan had put forward three conditions for the resumption of negotiations on Karabakh – guarantees of non-resumption of hostilities in the conflict zone, installation of equipment in the conflict zone to monitor ceasefire violations and “addressed” statements of the international community pinpointing the side responsible for violations. Azerbaijan has, in fact, now agreed with the first two conditions. Yerevan, meanwhile, intends to insist that the international community recognize Azerbaijan as the side responsible for the April escalation in Karabakh. If any of the countries or the Co-Chairs issue a statement in which they will lay the blame for the escalation on Azerbaijan, Armenia will have no reasons to refuse to have a top-level meeting with Azerbaijan in June. But at that meeting, as experts say, Sargsyan will face an even greater test – discussion of a settlement plan that would involve some painful territorial concessions from the Armenian side. The Armenian society has expressed an almost unequivocal rejection of such concessions.